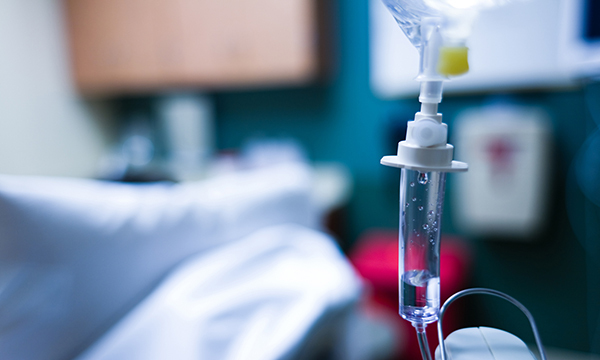 Many patients admitted to hospital or receiving care in other settings, including their own homes, are recipients of one or more infusion therapies. Total parenteral nutrition, chemotherapy, parenteral antimicrobial therapy, pain relief and other infusion therapies are increasingly delivered in community settings. While the move away from hospital helps meet patients’ lifestyles and clinical needs, it can have implications for patient care and safety. The RCN has published updated standards for infusion therapy guided by the latest evidence to ensure the safest care. It is intended to help healthcare professionals ensure each patient receives the most appropriate infusion therapy through the most appropriate device and site, in the most appropriate environment and at the right time. The standards state infusion therapies, cannulation and phlebotomy are increasingly delegated to healthcare support workers. Nurses must ensure they have delegated these tasks appropriately. The scope of infusion therapies includes, but is not limited to, intravenous, subcutaneous, intraosseous and epidural infusions. Therapies may include fluids, medications, blood and blood components and parenteral nutrition. The move away from traditional hospital settings brings extra risks that need to be considered by nurses delivering infusion therapies. Effective infection prevention and control measures are integral to all aspects of infusion therapy. The guidance sets out how to recognise and respond to complications, such as phlebitis, haematoma and catheter-related bloodstream infections. Patient experience is a new section in the updated guidance. When selecting vascular access devices and treatment regimens, it is important to consider patients’ lifestyles as well as their individual infusion therapies and other clinical care needs. Younger patients may have different requirments to older patients, and some individuals may have no access to carers. Infusion therapy may only be one element of the patient’s healthcare needs. All factors need to be considered when assessing patients for infusion therapy and they should be able to make informed decisions in partnership with healthcare professionals. ‘Nursing managers need to be aware of this document and its updates because infusion therapy is one of the most common types of therapy. It is an invasive procedure which nurses are involved in, whether that is putting the devices in or caring for patients with them in situ. 'The major reflection in these standards is that more infusion therapy is offered outside hospitals and in people’s homes and care homes, with a section on commissioning to reflect this increasing diversity of care.